Practicality in a mud room is essential, but we wanted to see a mix of industrial, traditional, rustic and thoroughly modern elements in the space. 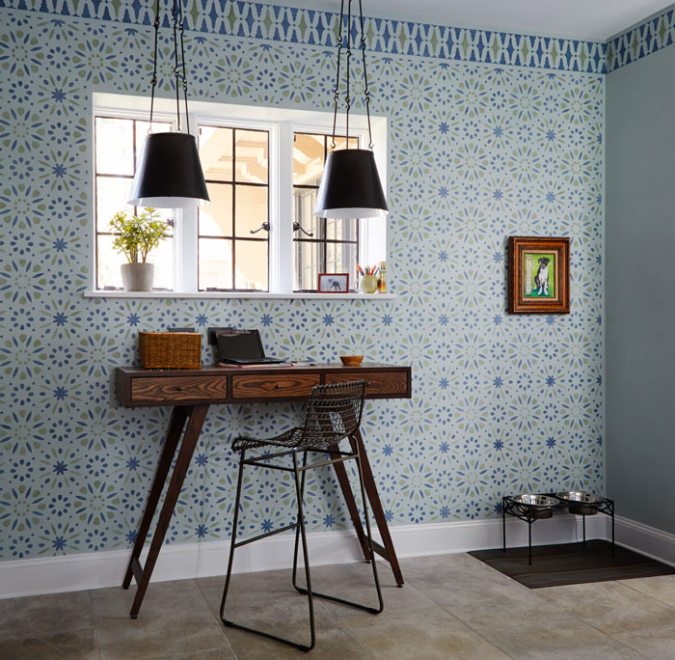 Liz Bail created a stenciled Moroccan mosaic along the window wall and a border around the room, to fabulous effect! The bench is custom by Charlie Sansone, as is the desk that was designed for double duty as a concealed charging station for electronics. USB ports are built directly into the wall as is a pop-out electrical outlet.